Having an idea of what new home features most people are wanting will help you as you think about building a new home or buying a new home. Knowing the features most people are looking for will help you find a home that will hold its value over time and will appeal to a wider variety of people. Features in new homes can vary from energy efficiency appliances to vaulted ceilings and jetted tubs. While some of these features may appeal to you they may not appeal to most people. A nationwide survey conducted in December of 2013 asked homebuilders how likely certain new home features were to be included in the new homes they were planning on building. The results of the survey can be seen here: http://eyeonhousing.org/2014/03/04/features-most-likely-to-show-up-in-typical-single-family-home-in-2014/. According to the results of the survey, the feature most likely to be included in new homes in 2014 was a walk-in closet in the master bedroom. 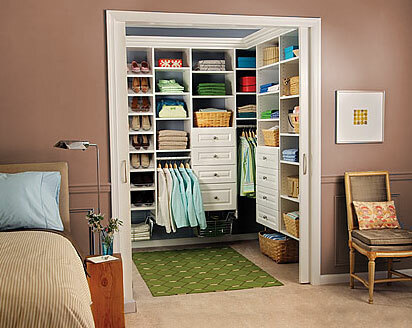 While walk-in closets vary in shape and size, a majority of builders have said that they will be including them in the new homes they are building as more and more people are wanting some type of walk-in closet in their master bedroom. As can be seen on the results of the survey one of the top energy efficiency items that will be included in many new homes are low-e windows. Low-emissive (Low-E) glass is window glass that has been treated with an invisible metal oxide coating, creating a glass surface that reflects heat, and at the same time allowing light to pass through. Windows treated with Low-E coatings are proven to reduce energy consumption, decrease fading of fabrics and increase overall comfort in your home. Pay attention to the types of windows that are in the new homes you are looking to purchase. Other features that were at the top of the results of the survey included a laundry room and a great room. When it comes to laundry rooms, many people want laundry rooms on both the main floor and the floor where most of the bedrooms are. While laundry rooms also vary in shape and size, many people look for laundry rooms with ample space and built in storage along with ample counter space for folding clothes. Many people are also looking for at least one great room and sometimes two. The size of the home will determine if a second great room can be an option but having multiple gathering places is something to consider when purchasing or building your new home. When building or buying your new home just be aware of the features most people are looking for. Pay attention to the new homes in your area and the features they are including. This will help you know what people are looking for and will help you as you determine how best to invest in your new home purchase.